KILBURN manufactures Fluid Bed Dryers and Coolers in technical collaboration with M/s. 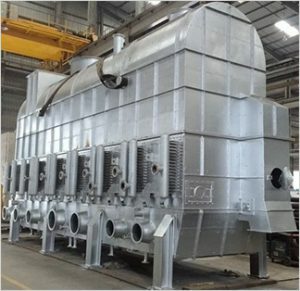 NARA MACHINERY COMPANY, JAPAN, the world leader in this field.These dryers/coolers utilize the FLUIDIZED BED TECHNIQUE to effectively dry many chemical, petrochemical, and other products. Fluid means a liquid. 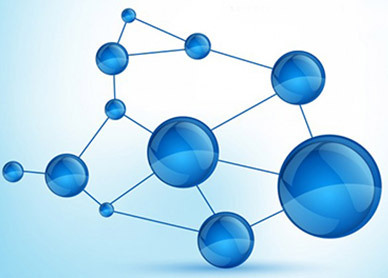 A substance is said to be fluidized when it starts behaving like a liquid. When a determined quantity of air is passed below a perforated bed, carrying the substance to be dried, say PVC, the material starts bubbling and it behaves like a fluid. 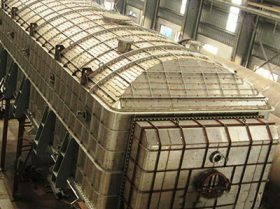 Much depends upon the substance, its moisture content, size of perforations, and air flow. When the air velocity is low, the bed of solids remains still. As the air velocity increases, the particles on the upper part of the static bed begin to move and separate from one another. 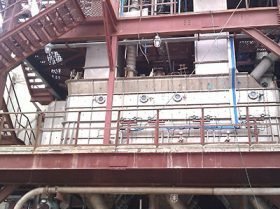 When the air velocity through the fluidized bed is increased further, the particles bubble more and more vigorously, and some of the particles begin to gradually fly-off. When the air velocity exceeds the terminal velocity of the particles, all of the particles may be blown-off resulting in “Carry Over”. 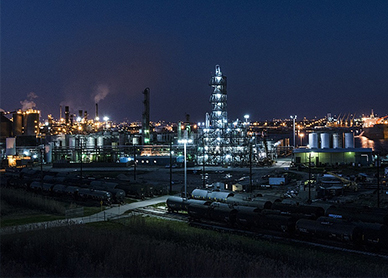 High operating temperatures possible because of rapid heat and mass transfer rates. No overheating of heat sensitive products because of special constructional features. Unique and thermally efficient design of embedded Heat Exchanger. 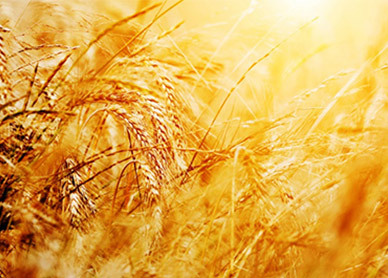 Easy control of residence time & simple to adjust moisture content of dried product. Easy handling of feed and product. No Moving parts, stabilized operation and negligible maintenance. 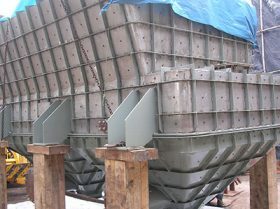 The distributor plate is fixed at the bottom of a rectangular chamber. 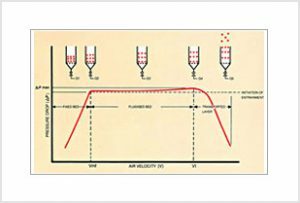 Hot air is passed through the Distributor Plate and wet material is fed continuously in a fixed quantity and distributed by a disperse. 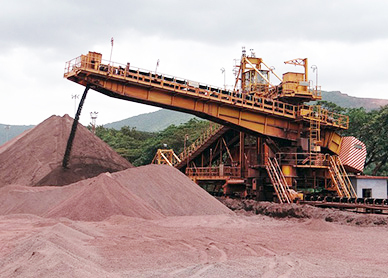 The air velocity can be varied as desired.After lapse of designed residence time, the dried product is continuously discharged at the overflow outlets. 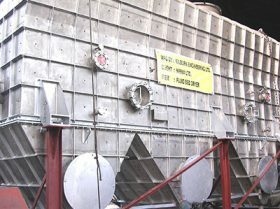 The exhaust air is vented out after being processed through a dust separation system. 1.Operation can be easily controlled by adjusting feed and temperature of hot air, based on the product temperature at the outlet. 2.Over and under flow features provide uniform drying of small and large size particles. 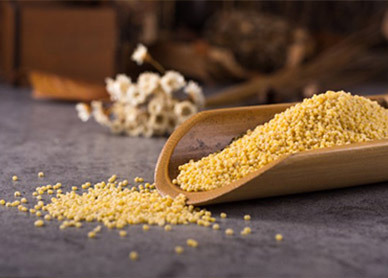 3.Wet feed is mixed with semi-dried product in the chamber; hence products with higher moisture content can also be fluidized and dried. 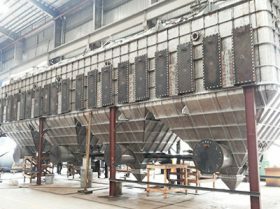 4.The drying chamber can be partitioned by baffle plates resulting in more uniform drying. 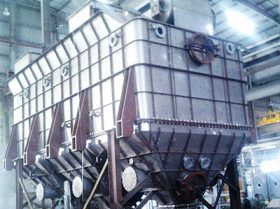 This type of Fluid Bed Dryer provides heat from two sources to the product -one by hot air and the other by immersed heat exchanger tubes inside the bed. 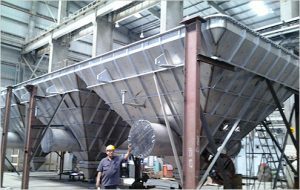 This improves the heat transfer co-efficient and decreases the air quantity required for drying by 50% to 70%. The equipment also becomes extremely compact. Thermally it is the most efficient Fluid Bed Dryer. 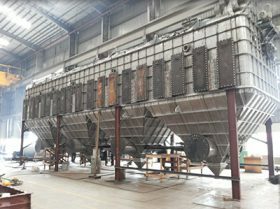 The construction is similar to that of continuous type Fluid Bed Dryer but the drying chamber has a special construction in respect of mounting heat exchanger tubes in the fluidisation area. 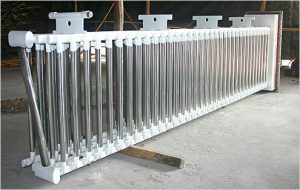 These specially designed tubes do not hinder fluidisation of the particles, but promote heat transfer. Would you like to Get Quote for our Fluid Bed Dryers? 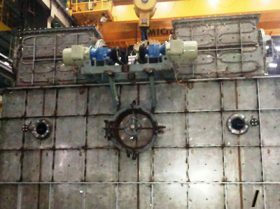 Consideration of fluidization velocity operating temperature, particle size distribution, drying characteristic of material, distributor plate, bed height and dedusting system require pilot plant tests.